Introduction: I first started looking into the background of BJJ when I began watching DVDs of the early Ultimate Fighting Championship, several years before I began my training at the Roger Gracie Academy. When I find something I enjoy, I like to find out as much as possible about the subject, so start researching on the net, in books, DVDs etc. That would eventually result in my long summaries on the UFC events. After I began BJJ in 2006, I soon found myself scouring the net for reading material, as well as picking up a few books (see my sources). Another summary seemed like a natural progression. It has taken me a while to get enough books, internet articles and newspapers together that I felt I could do the subject of BJJ history any kind of justice, but there is still lots I'd like to read. Roberto Pedreira released some major contributions to BJJ research in 2014 and 2015, resulting in his three volume Choque. A similar (if less well referenced) release was With The Back On The Ground: those two books are probably the best I've seen in terms of serious BJJ history. The long-anticipated English translation of Reila Gracie's 2008 biography of her Carlos Gracie arrived in 2014, another useful source. I'm also planning to add in details from the Black Belt archive, which might take a while. On top of that, I've been writing regular team history articles for Jiu Jitsu Style since 2010 and a broader historical summary for GroundWork, which have both helped bring up further details. If anybody reading this has further historical resources, I'd love to hear about them. Any corrections are also welcome, as long as you can direct me to your source (i.e., a book, a reputable website etc). As ever, the below writing is based on Google, internet forums and the few English books available on the market, so it is certainly not definitive. Still older are the limestone plaques and bronze jars, both depicting wrestlers, from Nintu Temple VI (in what used to be Sumeria, located in modern-day Iraq). These date from as far back as 3000 BC . Boxing can also claim an ancient history: those plaques and jars I just mentioned feature boxers as well as wrestlers. An educated man, Kano felt he could make improvements to the art. Danaher points out four main problems Kano sought to tackle: first, jujitsu's thuggish reputation; second, the lack of a set curriculum for both instruction and rank; third, an absence of overall strategy; fourth, inadequate training methods. In order to solve these problems, Kano drew on his knowledge of jujitsu to create a new style. This style would not be simply concerned with skill (jitsu), but with a whole system of education, aiming to foster a code of ethics: in other words, a 'way' (do). Hence instead of jujitsu, Kano's style would be known as judo. Judo, which at the time was known by a number of names, such as 'Kano ryu jujitsu', would prove itself through competition. Kano's school, which he had named the Kodokan ('house which shows the way', according to JudoInfo), faced a series of challengers from other schools. These men sought to prove that their style was pre-eminent, but to do so they would have to accept certain basic rules. As Danaher writes, Kano "wanted to avoid the undesirable image of jujitsu schools brawling in public, so all matches were held in the kodokan with limits on foul tactics and strikes." It is worth noting that Danaher's account - my main source for the above comments on Fusen-ryu - is criticised by some in the judo community: for example, in this appraisal by Tactical Grappler on the JudoForum, the poster argues that Danaher's version "draws its conclusions too strongly based on too little evidence and conjecture". The importance of Fusen-ryu, according to such a view, may have been over-emphasised in Mastering Jujitsu. However, from reading that JudoForum thread, it would appear that the consensus is that at least Mataemon Tanabe, the head of the school, had a high level of skill in newaza (groundwork, as opposed to 'tachiwaza', which relates to throws). If the JudoForum conclusion is correct, then the main flaw of Danaher's account would be attributing the abilities of one man to an entire style. The year after, he challenged Tanabe again. This time it was a ground battle and once more Tanabe won. […] The Kodokan then concluded that a really competent judoka must possess not only a good standing technique but good ground technique as well. This is the origin of the celebrated 'ne-waza of the Kansai region'. And in conclusion to all this one may very well say that Mataemon Tanabe, too, unconsciously contributed towards the perfecting of the judo of the Kodokan. Either way, instead of angrily denouncing this new challenge, or fading from the public eye, Kano realised what Tanabe (or perhaps Fusen-ryu in general, if Danaher is right to emphasise that style's newaza at the time) had to offer. He sought to learn from Tanabe, eventually incorporating his style of grappling into judo. If the account in Mastering Jujitsu is correct, this was to prove of central importance to Brazilian jiu jitsu, as at the same time, a certain Mitsuyo Maeda had begun his training at the Kodokan. He would go on to travel the world, at first ostensibly to promote judo abroad, but later for more specific goals, such as helping Japanese settlers in Brazil. In 1801, George Gracie emigrated from his native Scotland to the state of Para in north-eastern Brazil. The following century, George's descendant, a diplomat named Gastão Gracie, used his political influence to help Mitsuyo Maeda establish a Japanese colony in Brazil. In gratitude, Maeda offered to teach judo to Gastão’s sons: in The Gracie Way, only Carlos is mentioned as having learned from the judoka. . Wherever he was in 1916, Maeda was back in Brazil in 1917, where, according to Barbosa de Medeiros, he got a job with the Queirolo Brothers' American Circus. If true, then this is probably where Maeda met the Gracie family, as in 1916 Gastão Gracie was reportedly managing an Italian boxer associated with that same circus. (Less plausibly, but more grandly, the Gracies maintain that Maeda and Gastão met when both were representatives of their respective governments.) In any event, during late 1919 or early 1920, Maeda began teaching the rudiments of judo to Gastão's son, 17-year-old Carlos. Maeda was known by several names. He is often referred to as 'Conde Koma', a name he apparently picked up in Spain during 1908. According to this review of one of the various biographies detailing Maeda's life, the name was essentially an alias designed to hide the already famous Maeda's identity from a man he wished to challenge. The review states that 'koma' comes from the Japanese verb 'komaru' (meaning 'to be in trouble'), suitable due to Maeda's financial woes at the time. 'Conde' is the Spanish word for 'Count': a similar story appears here. A somewhat different version is given on this site, which claims "For his elegance and good looks, always sad, Mitsuyo Maeda won the nick name 'Conde Koma' in México". He has also been called 'Count Combat', 'Conte Comte' (the Portuguese translation), Esai Maeda (such as in this history on Rickson's site) and according to Wikipedia, later took the name Otávio Mitsuyo Maeda. It is worth noting here that while the name ‘judo’ has become the accepted term for Kano’s martial art, at the time many still referred to the style as ‘ju-jitsu’, or even ‘Kano ju-jitsu’. Maeda, like many others, had come to train under Kano having studied other ju-jitsu ryu previously (although some contend he only studied sumo). While the more usual Romanization is ‘jujitsu’, in Brazil the spelling ‘jiu-jitsu’ stuck, and has retained that extra ‘i’ ever since. In addition, since leaving Japan, Maeda had become well known for prize fighting, which was frowned upon by the Kodokan. As Mark Law puts it, "amateurism had always been an essential part of the spirit of judo. Kano had decreed this." By referring to his style as 'jiu jitsu' rather than 'judo', Maeda may have been attempting to avoid censure. Indeed, the later example of Masahiko Kimura, who was also involved in prize fighting, may lend further credence to the idea that the Kodokan would take action if a judoka participated in such events (for a related discussion, read this JudoForum thread). Maeda was a world traveller. After his time in North America he toured Central and South America and also Europe. By taking many professional challenge fights, Maeda clearly went against the strict moral codes of Kodokan judo. Probably because of this, Maeda described his fighting method as "jiu-jitsu" rather than "judo." One thing is clear, when Maeda taught people during these long overseas voyages, he insisted on calling his art "jiu-jitsu". At this time newaza was extremely popular and well researched, particularly by the Kosen Judo students. This was because Kosen Judo was an inter-school team contest only, so there was the possibility to draw. This was a time of only one score: IPPON or a draw. Most of the students participating were beginners, so in a very short time they had to develop players who could compete. For this reason newaza training was very useful. It was easier to get draws in newaza so they researched turtle positions, double leg locks, and so on extensively. As Tripp notes, 'double leg locks' was effectively the same as what is now known as the guard position. Kosen Judo, in other words, was similar in many ways to what became BJJ: indeed, Tripp goes so far as to say that "todays BJJ/GJJ players have a more direct route to Kano than the current crop of "Sport Judo" fighters! Current Judo people have ONLY seen what the IJF rules say Judo is, and that AFTER the MacArthur ban (something Brazil didn't have to deal with)." In Taisho Era (from 1912 to 1926), Kyoto University Judo Club played an important role in Japanese Judo and gave lots of influence to it. In Taisho 3 (1914) the Judo Competition of Higher schools and Colleges (Kosen Taikai) was commenced in Kyoto under the sponsorship of Kyoto University Judo Club at Butokuten (the name of the place where the competition was held). Year by year this Kosen competition grew bigger and bigger and had many participants all over Japan. In the Kosen competition, we did not have any restriction on practicing "Newaza" (ground work), so that we could fight under the rule of admitting "Hikikomi". Owing to this rule Newaza prevailed all over Japan. In order to publicise his new academy, Carlos is supposed to have taken out an advertisement in the largest newspaper in Brazil, proclaiming “If you want a broken arm or rib, contact Carlos Gracie at this number.” Whether this advert was really presented in that fashion (Pedreira believes it may be an apocryphal story), the impetus behind it has since become known as the Gracie Challenge, and would prove to be an integral part of BJJ’s growth. According to the official history, Carlos initially represented the family, but later on – and contrary to expectation – his younger brother Hélio would become the Gracie’s champion. Of Gastão and Cesalina's male children, Hélio was the chubbiest and most robust in his early life, earning him the childhood nickname 'gordo,' or 'fatty,' among family. From the ages of 9 to 15, however, he became thin, fragile and apparently unhealthy. He suffered from dizzy spells and often fainted at school. The family doctor couldn't identify a specific health problem but recommended that Hélio avoid all physical activity. The lack of dialogue between parents and children, typical of the times, meant he had no way of expressing his opinions and dissatisfaction, which is probably why it didn't occur to either the family or doctor that his blackouts were due to emotional causes. The move to Rio de Janeiro, the family's financial instability and his father's absence were all enough to rattle him. Whatever the extent of this apparent condition, the claim is that due to an inability to take part, Hélio watched instead. According to the man himself in The Gracie Way, just how closely Hélio was paying attention became clear one day, when Carlos was late for a private lesson he was due to teach. While Carlos' student waited, he asked Hélio if he wanted to ‘play’: once Carlos finally arrived, that ‘play’ had convinced the student that he wished to learn from Hélio instead. Jiu jitsu required trained reflexes and, no matter how brilliant or talented he was, in order to truly master the technique Hélio would have to practice his moves with someone. Because he was no longer in school, he had all the time in the world to spend at the academy. He started taking lessons from Gastão Junior and practicing with George and the other students. When Carlos noticed, he decided to turn a blind eye, giving him the space to learn however he pleased. Little by little, Hélio was initiated in jiu-jitsu and was soon intimate with it. I went to Brazil by the invitation of Sao Paulo Shinbun [local Japanese newspaper company in Sao Paulo]. Sao Paulo Shinbun, which was in a slump, came up with an idea of doing pro wrestling to revive their business. The period of contract was four months. The participants were I, Yamaguchi and Kato, fifth dan. This enterprise was a big success. Wherever we went, the arena was super-packed. This made President Mizuno of Sao Paulo Shinbun very happy. When we asked for a pay raise, he tripled our original pay on the spot. In addition to pro wrestling, we gave judo instruction wherever we went. One day, Helio Gracie, judo sixth dan, issued a challenge to us. The rule of the bout was different from that of judo or pro wrestling. The winner was decided by submission only. No matter how cleanly a throw is executed or how long Osaekomi lasts, it does not count. He issued a challenge to Kato first. If he fought a judo match under the Japanese rules, Yamaguchi is superior to Helio both in tachi-waza and newaza. But under the Brazilian rules, if Helio got pinned on the ground, all he has to do is to stay calm and be cautious not to get caught in a choke or joint lock, and remain still till the time runs out. Helio could fight to a draw in this way. If he used these tactics, it would be difficult for Yamaguchi to make Helio surrender. I then said to Yamaguchi, "Do not bother to come up with a plan to make Helio submit. I will accept the challenge." The conditions, according to The Gracie Way, were that if Hélio could last three minutes, Kimura would consider him the winner. This was largely due to the weight difference, one of the controversial elements of the story which has shifted over the years. In The Gracie Way, Kid Peligro writes that Kimura "weighed 220 pounds [99.7kg] to Hélio's 154 [69.8kg]" . This contradicts Kimura's account in My Judo, as he states there that "Hélio was 180cm and 80kg [176lbs]." On the JudoForum, one poster claims that "I did a little research and found that Kimura weighed somewhere in the neighborhood of 185lbs [83.9kg] and stood 5'6." This is also backed up by Kastriot "George" Mehdi, a long-time critic of the Gracies (but also an exceptional judoka and teacher, who has taught Rickson, Carlson Jr and Sylvio Behring, among others). Mehdi once spent some years training under Kimura, and states in Roberto Pedreira's article that Kimura was far from the 100kg often claimed by the Gracies. He showed Pedreira a picture of Mehdi and Kimura at around the time of the fight: Mehdi was 5'9 and 80kg, and according to Pedreira, the photograph makes it clear that the two men looked physically comparable, in terms of mass and height. Therefore it would appear that Hélio was certainly smaller than Kimura, but it remains unclear exactly how much. I applied ude garami. I thought he would surrender immediately. But Helio would not tap the mat. I had no choice but to keep on twisting the arm. The stadium became quiet. The bone of his arm was coming close to the breaking point. Finally, the sound of bone breaking echoed throughout the stadium. Helio still did not surrender. His left arm was already powerless. Under the rules, I had no choice but twist the arm again. There was plenty of time left. I twisted the left arm again. Another bone was broken. Helio still did not tap. When I tried to twist the arm once more, a white towel was thrown in. I won by TKO. Waldemar Santana was actually a good friend of mine. We liked each other, but after the fight with my uncle Hélio I called him and told him that we now had a problem. So I challenged him to a fight and said, ‘I am your friend, but in the ring we are enemies and I am going to beat you to a pulp!’ Because I was underage, my father had to forge some papers stating that I was twenty-one years old so that I could legally fight. The new location was in Copacabana, on Avenida Nossa Senhora de Copacabana, above the Gebara store. Carlson later opened two more academies, first in Niteroi, then back in Copacabana. He brought in his brother Rolls to help with teaching, and it was this third school, at Rua Figueiredo Magalhaes 414/302, which would prove the most lasting. Carlson would eventually concentrate all his teaching there, initially alongside Rolls. Though Rolls learned from Carlson's more aggressive, physical style, Kid Peligro relates that Rolls decided he wanted to "implement the technical teaching style of Hélio," so they separated their classes. Keeping the same location, the two Gracies agreed to rotate between the upper and lower floors, because upstairs was a higher quality room. A system was set up where Rolls taught upstairs on Monday, Wednesday and Friday, while Carlson would teach there Tuesday, Thursday, and Saturday. Kid Peligro emphasises just how pivotal this period proved to be. Indeed, he writes in The Gracie Way that Carlson's move to a new academy "cannot be overlooked as one of the key moments in the development of modern Brazilian jiu-jitsu." He goes on to quote Carlson, who told him "I was one of the revolutionaries because I opened jiu-jitsu to the public. At the main school they were much more closed and didn’t share their techniques." In addition, Carlson was a driving force behind the growth of competition: now that instructors were beginning to branch out on their own rather than all staying within the same academy, a healthy rivalry could act as a catalyst to progress the art of BJJ. Carlson's contribution to BJJ, and competition in particular, would not end there, continuing right up until the end of his life in February 2006 – his name will crop up again in later sections of this history. Rolls was always so open-minded, constantly seeking to improve his game and jiu-jitsu in general. He trained with Osvaldo almost daily for one year. Osvaldo introduced Rolls to the hard training that he had learned in Japan, like running on the beach and practicing throws. After one year of improving his strength and conditioning, along with his stand-up skills, Rolls returned to Carlson's school and was light years ahead of everyone. 1978 provided Rolls with a perfect opportunity to further develop his grappling knowledge, as that was the year wrestling coach Bob Anderson came to Brazil. Anderson had been sent by FILA (Fédération Internationale des Luttes Associées, or 'International Federation of Associated Wrestling Styles') in order to help the Brazilian Wrestling Federation. However, according to Kid Peligro, the Federation failed to send anyone to the airport to greet Anderson on his arrival. If you can spend time with Rickson, if you can spend one day with Rickson, it will last you one or two years. Whatever he has to say to you, whatever his energy. You know, Rolls had the same thing. Rolls is a guy, that, let’s say we had people on the mat… forty guys left… Monday night was the toughest night and Friday night. Lotta people talking bla bla bla bla. Rolls walked in and: silence. But not as fear, but respect. Yet despite Rolls' death, his legacy would continue through his hugely influential students. The most important is arguably Carlos Gracie Jr, often referred to as Carlinhos. It was to him that Rolls' wife turned after that terrible day in 1982, telling him "You are the right person to take over; even Rolls told me that you would be his successor." At the time, Carlinhos was happily teaching full-time from his home, but took on the heavy mantle of following in Rolls' shadow, returning to the hustle and bustle of Copacabana. Romero 'Jacare' Cavalcanti ('Jacare' means 'crocodile' in Portuguese) also went on to found a powerhouse BJJ team, Alliance. He received his black belt from Rolls himself just four months before the legendary instructor's death, a rare distinction he shared with a mere five other men. Like Carlinhos, Cavalcanti's organisation has also gone global. Alliance spawned further teams of its own, such as Brasa, TT, Checkmat and Atos. Then, of course, there is Rolls' brother Carlson Gracie, whose team went on to great success in both BJJ and MMA. Like the others, the Carlson Gracie name can be seen above gyms around the world. As with Alliance, there were also splinter groups, such as Brazilian Top Team, but the Carlson Gracie team continues to be a major force in BJJ. His student Rodrigo Medeiros is the main figure responsible for carrying on the Carlson name (under the BJJ Revolution Team banner), after his mentor passed away in 2006. Had Rolls lived longer, perhaps this cosmopolitan, open-minded Brazilian might have been the Gracie to first bring Brazilian jiu-jitsu to the rest of the world. His early death meant that task would have to be taken up by others: the venture would eventually prove a great success. It was from the United States that BJJ would grow to become a global phenomenon. I used to go to some of the early Gracie challenge matches, you know, before the UFC. Guys would come in and put some money down in a back room, and the Gracies would put money down, then they'd just fight [...] The thing I really noticed is that after the fight, a lot of times, the Gracies wouldn't even take the money, and the guys that they beat would end up becoming their students. Wrangles over rules meant the match fell through a second time, but did create sufficient hype that would eventually lead to Rorion choreographing a fight between Mel Gibson and Gary Busey in 1987’s Lethal Weapon. Gibson, playing a maverick cop, decides to offer the special-forces-operative-turned-criminal, played by Busey, a chance to fight him instead of arrest. Their scuffle in the rain features a classic BJJ submission: the triangle choke (on YouTube, of course, though that video may disappear at some point). Numerous members of Rorion's family came over to join him teaching out of his garage, moving permanently to various parts of the United States over the years. In 1983, his seventeen year old brother Royce, who spoke no English at the time, came to Torrance to help with instruction. In 1985, Relson established a school in Hawaii, moving to the Islands permanently three years later. Rickson came to California in 1989, with four schools in Southern California by 1995. Then there were the Machado brothers, who had also come to Torrance to help their cousins. The Machados were not only cousins to Rorion and his brothers, they had learned alongside them from Hélio and Carlos, at the enormous Teresopolis mansion. They are also yet another lineage whose origins can be traced back to the Rolls and Carlson school in Copacabana, as the Machados trained with Carlinhos at Gracie Barra. He was the man who would eventually give them their black belts, but as he said in a 2002 interview, "They could use the Gracie Barra name. They prefer to use their own name, Machado, also a strong name in Jiu-Jitsu. It's ok; it's good for them." Cesar Gracie was another important figure around at the time, as he discusses on Fightworks Podcast. Cesar remembers how in 1990, he brought the Machados to Redondo Beach to teach out of his garage, later also bringing over another relative, Ralph Gracie. The sheer size of the Gracie family was undoubtedly an important factor in their later success. Chuck Norris was impressed by what he saw of BJJ, deciding to take up the art himself (he would later earn a black belt in the style). In 1991, Norris encouraged Carlos, John and Rigan to open up their own school in Encino. Carlos Machado had previously been helping out at the Torrance academy, but according to Gentry, had aggravated Rorion. Hélio's eldest son claimed that "the Machados began teaching students behind his back, as well as undercutting his prices and changing the way the art was taught." Judging by Cesar's comments on teaching in 1990, Rorion may have been referring to Cesar's garage in Redondo Beach. Either way, this apparently lead to a lawsuit over use of the Gracie name, a practice for which Rorion would become infamous. Nevertheless, helped by Norris’ influence, the Machado's new academy got plenty of attention, it’s success enabling Rorion's cousins to open up a second school in December 1992, located over at Redondo Beach. In that same year, a major landmark for American BJJ was reached: Craig Kukuk became the first American to receive his black belt, from Royler Gracie (as per a now defunct NHB Gear thread [http://www.nhbgear.com/forum/index.php?topic=60940.0]), while the Royler lineage is mentioned in another defunct NHB Gear thread [http://www.nhbgear.com/forum/index.php/topic,16964.msg216467.html#msg216467]. Kukuk would also produce a seminal instructional series with Renzo Gracie in 1994 (full review here). Gracie Jiu-Jitsu in Action had been a success since it was first advertised in 1988, demonstrating how tapes could be an effectives means of raising GJJ's profile. In 1991, Rorion returned to the video medium, this time releasing an instructional series, Gracie Jiu Jitsu Basics (my review, with more historical details and context, here). Gracie Jiu Jitsu was largely limited to the Gracie Academy in Torrance in the early '90s, though several black belts - such as the aforementioned Machados - were beginning to branch out on their own. With a tape series, Rorion could reach potential students far beyond California, not to mention make a tidy sum from video sales. There was also the possibility that customers who were learning by tape might be sufficiently inspired to seek instruction from the Gracie Academy itself: if nothing else, those tapes did much to increase interest in grappling. The term Gracie Jiu-jitsu was carved by me [in the USA] and it identifies my source of instruction […] When the Gracie name became very famous, a lot of relatives of mine started to capitalize on the work I had done. Unfortunately, they don't have the sense of professionalism and ethics that I wished they did and because I owned the Gracie Jiu-jitsu name, I would refuse to let those guys sell and prostitute the name. By 1994, Gracie jiu jitsu was making some major gains in the US market. That year, Carley Gracie took the decision to contest Rorion's trademark: after all, Carley was a Gracie too, who had been teaching jiu jitsu in the US for longer than his cousin. The resulting court battle went on for several years: the full proceedings can be found here. The distinction between what Rorion had dubbed Gracie jiu-jitsu (GJJ) and what is now widely known as Brazilian jiu jitsu (BJJ) is in part a matter of politics (which Carley's legal tangles only served to intensify), along with the legal restrictions enforced by Rorion when he trademarked GJJ in 1989. Some might tell you that GJJ is concerned with self-defence, whereas BJJ is ‘merely’ a sport; others will say that there is no difference, it is just a matter of who is teaching. The Academy in Torrance has gone so far as to offer something called 'Gracie Combatives', which Rorion and his sons believe bring back the 'self-defence' aspect supposedly lacking in some other schools (for more on the course, see here and here, along with this and this ). To me, its always been just 'jiu-jitsu', because there is not a distinction in Brazil. I grew up just knowing it as 'jiu jitsu' [...] To me its Gracie jiu jitsu and Brazilian jiu jitsu: its all the same thing. We sweep, we choke and we get choked. I say it both ways, it doesn't matter. One day, I grab a Black Belt Magazine and I find out that Royce and Rorion are living in LA, so I called them, and they're like "man, what are you doing in the mountains, you've gotta come out and train with us!" So I came to California, and that's where it all started back again. Rorion told me he had a big plan coming, if I wanted to help. I said "of course, I'm here to help, whatever you need", because they always help me, their jiu jitsu help my life, completely in every aspect, so I was there to help them, too. Thanks to Rorion's 'big plan', Gracie Jiu Jitsu (the term 'Brazilian Jiu Jitsu' had yet to fall into widespread usage) was about to become world famous, and Royce Gracie a household name. As Santos related in that same podcast, "I was teaching all the classes so Royce could go and train." All that preparation would soon pay off, as Royce readied himself to take part in the inaugural Ultimate Fighting Championship. The Ultimate Fighting Championship was broadcast from Denver, Colorado on the 12th November 1993, without a great deal of coverage in the media beforehand. For the first time, vale tudo (Portuguese for 'anything goes') – in a modified form – would be seen outside of Brazil. The competitors were all experienced martial artists, but only Gerard Gordeau (a tough Dutchman who had been a bouncer and fought in Japan) and the shootfighter Ken Shamrock looked truly dangerous. Kevin Rosier had a legitimate record, but had been retired for some time, during which his once toned physique had softened considerably. Gordeau immediately justified his reputation in the opening bout of the televised show, knocking out the sumo wrestler Teila Tuli’s tooth in a matter of seconds. Royce got an easy start against the boxer Art Jimmerson, who had little motivation to fight because he was being paid $20,000 simply to show up: wary of injury, he tapped almost immediately following Royce’s takedown. The Brazilian’s next opponent, Ken Shamrock, looked strong and skilful against Pat Smith, submitting him by a visibly painful ankle lock. Shamrock had experience in the Japanese Pancrase association, where he had learned to combine his history of wrestling with submissions, thanks to the tutelage of talented martial artists like Pancrase co-founder, Masakatsu Funaki. However, Shamrock was still comparably new to the sport, and had little experience with chokes, in particular when applied using the gi. As Shamrock sought to put Royce in position for his trademark ankle lock, Royce slipped his gi into place, choking out his much more powerful opponent. Gordeau, given his impressive striking ability, had the potential to provide a difficult match for Royce, but fortunately for the jiu jitsu fighter, Gordeau was in poor shape by the time they met in the finals. Not only had he broken his hand, but two of Tuli’s teeth were embedded in his foot. Royce had little trouble taking Gordeau’s back and submitting him with a choke: Gordeau attempted to bite his ear in the process, but that only resulted in Royce holding the choke for an uncomfortably long time. It is difficult to say whether the contest might have gone differently had Gordeau been without injury, but on the other hand, Royce cannot be blamed for finishing his matches both quickly and without any damage to himself. Coming into the second tournament, Royce was no longer the smallest man in the competition who garnered little attention: he was the defending champion. His performance in UFC II was, therefore, perhaps even more impressive than his debut, proving his mettle in a tournament of sixteen rather than eight fighters. The much touted karateka, Minoki Ichihara, could do nothing against Royce’s grappling skill, despite bravely struggling to escape from mount. He would eventually tap to a gi choke, while Royce was simultaneously setting up an armbar. Jason DeLucia fared little better, despite having fought Royce once before at the Gracie Academy: he found himself trapped in an armbar in the midst of attempting to escape mount. Remco Pardoel, a much larger man with multiple national jujitsu titles, would also succumb, though he managed to resist for some time due to defending against Royce’s gi choke with his chin. Finally, Pat Smith, a kickboxer from the first event who had added a few submissions to his game, would tap soon after being taken to the mat. The third event would be different. Rickson was unhappy that his brother Rorion was making a tidy profit from the UFC, while he himself made little. He and Royler set off on another trip to Japan, and this time round would find success first in Vale Tudo Japan '94 and '95 (the excellent documentary Choke, available on DVD, covers the build-up to the latter event and ensuing tournament), then some years later, in PRIDE. Already a legend in Brazil, Rickson would become a global figure: while he was given a dubious 400-0 record, there was nothing dubious about his skills in the ring. So impressive was his performance at Vale Tudo '94 that two of the three men he defeated would themselves take up Brazilian jiu jitsu. That included Yuki Nakai, who later earned his black belt and became a major figure in the Japanese development of the sport. The fighters in UFC III reflected the shift in emphasis related by Gentry, when he refers to it as "a reality-fighting contest with a pro-wrestling spin." The conflict between Royce Gracie and Ken Shamrock was hyped up, with the publicity posters for UFC 3 featuring the two men glaring at each other in a fighting pose. However, despite the promoters setting up the brackets so the two could meet in the final for a climactic end to the night, they never got the chance to fight. In Royce's way was the immensely powerful and heavily tattooed Kimo Leopoldo (in a further nod to pro-wrestling, he was announced as simply 'Kimo'). Kimo was the most theatrical of all the fighters (though the charismatic Canadian karateka, Harold Howard, trumped him in the interview stakes), dragging a huge wooden crucifix on his back to the ring. Kimo had been introduced as a skilled taekwondo practitioner, but his third degree black belt was a fabrication. Nevertheless, Gentry is a little too quick to label him "just a streetfighter" , as Kimo had a background in wrestling. The Seattle Times mentions a Kimo Leopoldo (I am assuming that is not a common name, but I could be wrong) in the Interlake High wrestling team, in two articles  from the 5th February 1985. On the 6th and 26th December 1985, The Seattle Times again mentions Kimo, and this time he is not merely a member of the team, but the defending champion at 190lbs with an unbeaten record of 9-0  (a later article gives his full record for the 1985 season as 24-5 ). His age also fits, as Kimo was born on 5th January 1968, so would have been 17 at the time. This would prove important, as Royce had yet to come up against a wrestler, particularly one as strong as Kimo. While Kimo had not wrestled for some years at this point, it was still possible to see that he had not forgotten his days as the 190lbs champion: e.g., at one point, he manages to reverse Royce's mount by bridging, which is not the action of someone completely untutored on the ground. Kimo's high school wrestling, combined with his considerable athleticism, caused Royce serious problems. He was also not wearing a gi, which was a major factor in Royce's defeat of Remco Pardoel, his only previous large opponent in the UFC with grappling experience. That meant that Kimo could slip out of Royce's holds, aided by the lubrication of sweat as the fight wore on. Seeing his brother in obvious severe difficulty, Rorion took the decision to throw in the towel. The champion was out, and even more bizarrely, Ken Shamrock would pull out too. Royce had been his whole reason for entering the tournament, seeking to avenge his loss in UFC. Shamrock's book, Inside the Lion's Den, written with Richard Hanner, gives the following reason: "He had prepared, he had hungered, to fight another professional, a man named Gracie. Now there was nothing to prove." The two men over all the posters, all the marketing, all the merchandise, were out of the competition, despite having won their fights. Keith Hackney proved much tougher opposition. The kempo stylist managed to defend against Royce's takedowns for much of the fight, landing some ground strikes, but was eventually caught in an armbar. That set up the climactic fight, against the very experienced wrestler, Dan Severn, who had both skill and strength at his disposal. Severn was perhaps Royce's greatest test during his time in the UFC, due to his many years of grappling, but Severn did not possess one very important quality: a willingness to punch. At 15:49, Severn tapped. "Did I tap because Royce Gracie beat me or did I tap because I was unwilling to hurt another individual that night?" That was the question Severn had to answer if he wanted to continue fighting. When the match was over, Severn shook his head in frustration. He felt it was his mind that had lost the fight; his body could have finished it. Nevertheless, once again Royce had proven the pre-eminence of Brazilian jiu-jitsu, in a field of combatants whose experience was largely limited to one style. In that company, BJJ was proving to be difficult to beat. Cracks started to appear after the other fighters realised they needed to move beyond a single dimension, but it would still be several years before BJJ was knocked off its pedestal. Though Royce would later return to MMA, his three UFC titles over the course of 1993 and 1994 sealed off a period of dominance for BJJ that would gradually subside as the skill level in MMA rose. Royce's first stint of MMA competition concluded with an anti-climax in UFC 5 on the 7th April 1995: the night would instead belong to Dan Severn, runner up in UFC 4. A long, relatively inactive 'superfight' between Royce and eager challenger Ken Shamrock resulted in a draw, though Shamrock felt vindicated by the fact he managed to bloody up Royce's face towards the end of the match. Whereas in their first encounter Royce had quickly used his gi to choke out the big American, this time he was neutralised by Shamrock's extremely cautious strategy. Inside the Lion's Den claims that the draw "was a moral and strategic victory for Shamrock, who had used power and patience to dominate Gracie," then quotes commentator Bruce Beck: "Royce Gracie is a mess—but Shamrock looks marvellous." It was a sign of things to come, particularly in the early years of the PRIDE Fighting Championship, as apprehensive fighters who came up against the Gracies decided that a draw was good enough, stalling out the match. Full Contact Fighter: Did the UFC people approach you with a deal to fight a superfight with either Shamrock or Severn around UFC 7? Offering in excess of $200,000 and changing the rules, giving you a long time limit. Royce: The problem with the time limit...if I drop you in the ocean and say, "My friend, I'll pick you up in 3 hours," you're gonna say, "Gee, okay, I'll hang around here for 3 hours, I'll float for 3 hours." You look around, there is no land, you gonna float for 3 hours. But, if I drop you in the ocean and I say, "Goodbye," you don't know if I'm coming back to save you or not, you have to find land. You have to choose a direction, and start to swim. Now darkness comes, you don't know if the whales are coming. You don't know if the sharks are coming, what animals are gonna show up in front of you, if you gonna get tired, if you gonna find land or not, if there's a ship coming...all those factors come in play now. So, at the moment that they say, "Royce, fight, but the time limit's 1 hour." They know that they cannot beat me, so they hang around for an hour. "Time is over, Yeah! I'm the best, I draw with the champion! "...get the F outta here. The opening of a new era came on the 18th November 1995, when the first serious attempt at a rival promotion appeared in the form of Extreme Fighting. Looking back on the four events that ran under that banner, it could be argued that the fights were of higher quality than their UFC counterparts, John Perretti's matchmaking skill producing several classic fights. BJJ was represented in force, with two competitors especially successful: Ralph Gracie and Marcus 'Conan' Silveira. They conquered the light and heavyweight categories respectively: these divisions were an innovation pioneered in North American MMA by Extreme Fighting (many of MMA's later rules can be dated back to Extreme Fighting, including the use of gloves, designed by ex-UFC ringside doctor, Joseph Estwanik). Perhaps most importantly to BJJ history, Extreme Fighting gave Carlson Gracie the chance to demonstrate the competence of his style of jiu jitsu in MMA, with several of his protégés taking part over Extreme Fighting's lifetime. 'Conan' was an entirely different kind of fighter to the unimposing physique and defensive guard strategy of Royce Gracie: Silveira was powerfully built and dominated from the top, with an aggressive approach that proved very effective. He would even find success with strikes, throwing wild punches which made up for what they lacked in technique with strength and ferocity. Yet BJJ did not have things all its own way in that inaugural Extreme Fighting. Carlson Gracie Jr could only manage a draw against John Lewis (later a BJJ black belt himself, but not at the time), and then there was Mario Sperry. Another Carlson fighter, he came into the middleweight final as the favourite. The commentary team emphasised his overwhelming skill, evidencing complete shock and surprise when Sperry's opponent, Russian kickboxer, judo and sambo stylist Igor Zinoviev, managed to escape position after position. The biggest shock would come when Sperry got Zinoviev against the fence, and tried to jump over his back to lock in a guillotine. Zinoviev, facing away, anticipated the move and landed a hefty knee as Sperry fell to the floor in front of him. The fight was over: for the first time in North American MMA, the BJJ man had lost. Sperry would not be the last to do so: another highly touted black belt, Joe Moreira, faced Paul Varelaens in UFC 8 on the 16th February 1996. Moreira was a very experienced black belt in both BJJ and judo, but stalled against the much bigger Varelaens. Moreira was much older than his opponent as well as being smaller, and had little experience with striking. It is also worth noting that Roy Harris has stated Moreira went into the fight carrying an injury (in the Stickgrappler archive). Unable to employ any kind of attack or to bring the fight to the ground, Moreira lost the decision, despite Varelaens relative lack of skill. 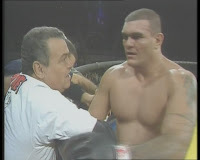 However, it is important to add that when Moreira returned in UFC 14 against an opponent who did not outweigh by over 100lbs, he was quickly able to take him down and dominate. Yuri Vaulin was a tough Latvian boxer, but no match for Moreira's thirty years of experience on the ground once the fight hit the mat. Yet Moreira's slow, steady style of jiu jitsu meant that again, the bout went to decision, which this time he won, due to maintaining a solid mount for almost the entire match. In that same year, reigning Mundials champion Amaury Bitetti decided to try his hand at mixed martial arts, entering the Ultimate Fighting Championship IX. Unlike previous events, there would be no tournament, instead featuring single fights. Bitetti faced Don Frye, a wrestler with professional boxing experience, and about 15lbs more weight (significant, but nothing compared to the discrepancy Moreira had faced, particularly for an open-weight BJJ champion like Bitetti). Yet despite his undoubted grappling ability, Bitetti was unable to take Frye down, catching some vicious strikes in the process. When the two fighters did finally end up on the ground, with Frye in Bitetti’s guard, Frye continued to rain down strikes, short elbows to the face opening up multiple cuts on Bitetti. Eventually McCarthy stopped the fight, after Bitetti received a series of unanswered knees to the head, Frye having sprawled out of the jiu jitsu player’s double leg attempt. Frye’s wrestling prowess, combined with his high level of boxing, proved too much for a pure BJJ stylist. On the 17th May 1996, UFC 9 demonstrated that expertise in one discipline was no longer enough: Marco Ruas had been the first example of a UFC competitor proficient in both striking and grappling, but Frye was the first cross-trained fighter to utterly dominate a world class grappler. On 18th October 1996, Extreme Fighting 3, Maurice Smith drilled home the point made by Frye. Carlson Gracie black belt, ‘Conan’ Silveira, had been untouchable in the heavyweight division since the first event two years earlier. His power, combined with an understanding of submission, had laid waste to his opponents, while Ralph Gracie made things look even easier in the lightweight category. Yet in Smith, Conan came up against a different kind of opponent. Smith had a long and illustrious history of success as a kickboxer, and while older than Conan, Smith was also in incredible shape. That, along with the carefully targeted aspects of grappling Smith learned from Frank Shamrock, would be the deciding factor in the heavyweight championship. Conan came out looking strong, taking Smith down: normally this spelled the end for his opponent. However, Smith's training with Shamrock had prepared him very specifically for the BJJ style of fighting. While far from an expert on the ground, Smith knew enough to stay safe both while mounted and when in the guard. He maintained a defensive posture, not leaving himself open to attack, surviving the first round. Conan was in a new situation, and it was to get steadily worse at the bout went on. Smith's endurance meant he could easily outlast Conan, who was growing sloppy due to fatigue, unable to get any kind of offence together against Smith. Even a brief flurry of typical Conan arm-punches made little impact, as opposed to the crisp strikes Smith threw in response. After almost two rounds of Conan chasing Smith around the ring, getting picked off by low leg kicks as he did so, Smith brought his clever strategic ploy to its finale. He caught Conan completely by surprise when instead of aiming at his leg, Smith went right for the head. Conan, stunned by the kick, stumbled backwards into the fence, out on his feet. The fight was over, and Smith was the new champion. He didn't fight BJJ. He fought with his heart instead. I didn't see the guard, which should be used for protection and defence. What happened to Bitetti happened to Frye in UFC 10. Winning against Frye is easy. I don't see anything in Frye and Coleman. They are very weak. He was even more dismissive of Conan Silveira, telling the Japanese FreeFight magazine in 1998 that "With Conan, you just have a big guy trying to use power over technique so there is no surprise there." This continuing confidence in BJJ was justified to a certain degree, as while Silveira lost his title, Rickson's cousin Ralph never looked in danger of being tested. Partly this was due to the difficulty of finding opponents, leading to uneven match-ups against pure strikers like Ali Mihoubi in Extreme Fighting 2. Nevertheless, Ralph fought, and defeated, whoever was put in front of him, and like Conan used an aggressively effective style to win. For Gracie, no comparable Maurice Smith appeared in the lightweight division, while sambo, judo and kickboxing stylist Igor Zinoviev held on to his middleweight title. Along with Conan Silveira, who had been so dominant until he met Smith, Carlson Gracie produced many other fighters who were successful in mixed martial arts. His teaching style, which had always taken note of strength and aggression, proved ideal for the new sport. Vitor Belfort would fly the flag for Brazilian jiu jitsu in the UFC, and more specifically Carlson, when he made his broadcast debut in UFC 12. However, Belfort made his name through striking prowess rather than his skills on the ground, smashing his way at rapid speed through Tra Telligman, and then Wanderlei Silva in Ultimate Brazil, having also demolished the lumbering UFC 5 veteran Jon Hess in a mere 19 seconds during an earlier event. That impressive set of performances came to an end when Belfort found himself nullified by the future UFC legend, Randy Couture. The Greco-Roman wrestler’s grappling experience combined with his boxing ability, gained during his time competing for the army, proved sufficient to defeat his much younger challenger. Other competitors, such as Wallid Ismail, Allan Goes and Carlos Barreto, among many others, would be a major force in MMA. While Carlson's team eventually split over contractual disputes, several of the big names creating the Brazilian Top Team, Carlson left a lasting impact on mixed martial arts. His fighters had long been the team to beat on the BJJ competition scene in Brazil, and they would translate that to great success in MMA as well. When he died in 2006, Carlson left behind him a great legacy, not only in his considerable contributions to the two sports of Brazilian jiu jitsu and mixed martial arts, but in the deep loyalty he inspired from his students around the world. While the USA took some time to embrace mixed martial arts, Japan welcomed MMA with open arms. Numerous promotions, some predating the UFC, emerged from the homeland of jiu jitsu, such as Pancrase, Rings, and most importantly, PRIDE. Here, pure BJJ stylists, relying on their grappling and submissions rather than the striking of fighters like Belfort, could still prove effective, at least initially. That was particularly true when they were at the level of Rickson, Renzo and Royler Gracie. The Japanese events would provide the Gracies with another chance to demonstrate the potency of Brazilian jiu jitsu, but it would also sound the death knell for 'pure' BJJ stylists. In the inaugural event on 11th October 1997, Renzo and Rickson Gracie faced very defensive opponents looking to pull out a draw against the legendary Brazilian fighters. Akira Shoji had enough skill and endurance to do so against Renzo, but Nobuhiko Takada was no match for Rickson. Gracie methodically took him down, worked to mount then grabbed Takada's flailing arm for the submission: Takada had been desperately clinging to Rickson's upper body in a futile attempt to defend himself under mount. Much the same pattern would continue in PRIDE 2. Royler eventually burst through the stalling tactics of his much larger opponent, Yuki Sano, mercilessly pounding his face before finishing with an armbar. Renzo had to contend with the similar tactics of Sanae Kikuta, gaining the victory with a guillotine after another slow, drawn-out fight. Also in that second event was a Japanese fighter who would develop a large following in later years. Kazushi Sakuraba had fought twice in MMA, against the same man, Conan Silveira, in the UFC event Ultimate Japan. Having had his first match stopped early by a misunderstanding on the part of the referee, Sakuraba was then matched up with Conan a second time, beating him by armbar. A Brazilian jiu jitsu black belt under Carlson Gracie had been defeated by a Japanese pro-wrestler, though Sakuraba was unlike Yuki Sano or Nobuhiko Takada in that he had serious submission skills. Having said that, according to Roberto Pedreira's Global Training Report, Sakuraba had received some training in BJJ himself, from Sergio Penha. Either way, the great ability of the Japanese fighter would again be showcased in his bout with another good grappler, Pancrase veteran and Lion's Den fighter Vernon 'Tiger' White, during PRIDE 2. In a back and forth match, both men demonstrated their elite groundfighting capabilities in what was the most technical fight PRIDE had seen up to this point. It would become something of a trademark for Sakuraba, as he similarly put on a show with another decent grappler, Carlos Newton, in PRIDE 3. PRIDE 4 brought Sakuraba his toughest challenge to date, as Allan Goes dominated the early part of the fight, with unorthodox kicks from the bottom, even managing to land front and turning kicks to Sakuraba's face while still on his back. Once Sakuraba found his way into Goes' guard, he again demonstrated his incredible facility with escapes (repeatedly working his way free of RNC choke attempts), also launching a number of attacks of his own. Without judges, the match ended in a draw: had there been points, Goes might well have taken the decision through his effective striking. Also in PRIDE 4, the popular Japanese pro wrestler Nobuhiko Takada again faced Rickson Gracie. Takada was slightly improved from the first fight, managing a good shot to the liver, but as before, he was eventually sucked into the Brazilian's guard. Takada kept up a spirited defence, but could not compete with Rickson's superlative skill. The Japanese fighter was swept and mounted, then armbarred for a second time. Sakuraba continued his string of victories by defeating Vitor Belfort in PRIDE 5, who spent much of the fight on his back, receiving a barrage of kicks to his inner thighs from the Japanese fighter. Belfort had no answer, lacking Goes' impressive striking from the ground. Unlike PRIDE 4, there were now judges, so Sakuraba easily took the decision. He notched up further wins in PRIDE 6 and PRIDE 7, establishing himself as the man to beat. There was one immediate name that sprang to mind as an opponent: Gracie. Rickson was the ultimate goal, but before he could match up with the acknowledged family champion, Sakuraba would have to face his brothers and cousins. Royler was the first to take up the challenge, agreeing to a match in PRIDE 8. Towards the end of the second round, having spent most of the match beating up Royler's thighs, Sakuraba went to the mat and passed Royler's guard. He then managed to secure the Brazilian's arm, raising a huge cheer from the unabashedly partisan Japanese crowd. As Sakuraba gradually started to crank the kimura, Royler's arm looked close to breaking, but just like his father Hélio, the Brazilian refused to tap. With Royler's arm in a position that looked horribly painful, the referee stopped the fight in Sakuraba's favour. To most laymen the situation may have appeared desperate, but Royler had managed to defend the lock quite well. Sakuraba could not find a way to add any more pressure and looked to his corner for help. […] [Renato] Barreto, who knew his friend's flexibility better than most anyone […] signalled to Rickson that everything was fine. At that very moment, with less than a minute left in the match, the referee stopped the fight and declared Sakuraba the winner. The rules of the fight meant that a victory could come only through submission or knockout, so if Peligro's appraisal is accurate, then Royler was set to get a draw. As it was, Sakuraba provided the world with the first vale tudo defeat of a Gracie since Hélio lost to Kimura. Ironically, it was again the kimura hold that had proved the decisive factor. Sakuraba had outweighed the 150lbs Brazilian by around 30lbs. There was no such excuse for the 2000 Grand Prix, when Royler's famous brother, undefeated ex-UFC champion Royce, faced the Japanese phenomenon. The massive jump in exposure for what became known as BJJ was largely thanks to Royce's performances in the previous decade during UFC 1-4, winning all but one of the tournaments he entered. Many BJJ black belts of today, such as Roy Dean, still cite Royce as their inspiration for starting in the sport. Both men first had to qualify for the Grand Prix, Sakuraba winning a somewhat controversial match against Guy Mezger. The first round was judged a draw, which meant that it should have then gone to an overtime round. However, Mezger's trainer, Ken Shamrock, was so incensed by the ruling that he left the arena, together with Mezger and the rest of the Lion's Den. Royce had a straightforward bout against Nobuhiko Takada, the man who had been armbarred twice by Royce's brother, Rickson. Royce was not able to get a submission, but proved sufficiently dominant that he won the decision over the pro-wrestler. Sakuraba would be next, in a special rules bout. In the quarter finals on 1st May 2000, Sakuraba began what was perhaps his biggest fight to date with some showmanship, as he and two other men entered wearing identical masks. The real Sakuraba proved to be the man in orange, his dramatic unveiling giving the crowd some further entertainment in what was already a flashy production. Royce looked unmoved: it was time to fight, and unlike the Royler match, there was no time limit, although there were fifteen minute rounds. According to the commentary team, there were also no rules: in his prefight interview, Royce stated he had "a lot of people to shut up." I told my corner, 'I can't walk. If I get up, I'm not going to be able to move and he is going to knock me out. At the time I didn't know I had a broken foot, a partial tear of my tendon and a crack on my shin. Rorion said, 'Stop! You can't walk? There is no reason to confuse bravery with stupidity. You have already proved that you are brave: now we can't be stupid about it. Throw in the towel.' My father agreed. I told them, 'It's up to you guys: if you tell me to go back and get in there I will.' And I would have. But Rorion asked again if I couldn't walk and I confirmed it, so they threw in the towel. Renzo was the next Gracie to fall to Sakuraba, again by a kimura, in PRIDE 10. Unlike his cousin Royler, Renzo had no grounds for complaint. 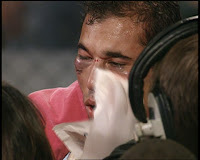 His elbow was visibly dislocated, forcing a referee stoppage. Finally, the Japanese fighter defeated Renzo's brother Ryan, fully deserving the nickname he would carry into future bouts: the Gracie Hunter. Only Rickson retained his aura of invincibility. In 2000, he came up against the talented Pancrase co-founder Masakatsu Funaki. The Japanese competitor was able to stall Rickson in the corner, but Gracie eventually took him down, mounted, then launched some effective strikes to setup the rear naked choke finish. The following year (as discussed in this Global Training Report article), Rickson's son Rockson tragically passed away. Rickson has not fought in MMA since. Pure BJJ is no longer the dominant style in MMA, but remains an integral component: in the early years it was almost a guarantee of victory, whereas now it is just one aspect of the many skills a fighter needs to succeed. As competitors educated themselves in the sport, it became increasingly difficult for fighters in MMA to survive without having at least basic competency in both grappling and striking. Today it is virtually impossible. BJJ has benefited hugely from its exposure in MMA, having gradually grown into a popular sport in the US, which has led to its dissemination around the world. After spreading throughout the USA, Brazilian jiu-jitsu would make its way to Europe. Before BJJ came to the UK, the UK went to BJJ. Rick Young, one of the biggest names in UK martial arts, has travelled extensively to further his training. He first encountered BJJ in 1989 in North Carolina, at the Smoky Mountain Camp. On the advice of Erik Paulson, he took the opportunity when in Los Angeles to arrange a private with Royce Gracie. Young also received instruction from the Machado brothers, starting in 1995, getting his blue belt from Rigan in 1997. Others followed in Young's footsteps. Marc Walder first visited the Gracie Academy in Torrance during 1995, having been inspired by Royce Gracie's UFC performance. The history on the Roger Gracie Academy Bucks site relates how Walder made two trips to the US, staying on long enough to gain his blue belt from Royce. Walder could now return to his home country a Gracie-approved teacher of Brazilian jiu-jitsu, sowing the early seeds of the sport's growth. Another example, Andy Norman, earned his blue belt from John Machado, starting his own class in the UK during 1998. Jude Samuel mentions in his Fightworks Podcast interview that the original BJJ teacher in the United Kingdom was Chen Morales, in the late 1990s. Morales' big contribution was the first Brazilian jiu jitsu competition in the UK, held in 1999. I've also read that Arlans Siqueira was in fact the first instructor in this country, when he came to the UK in 1997 as a brown belt. Siqueira continues to teach in the UK, having since received his black belt. Either way, Morales and Siqueira were followed by the man most responsible for growing the sport in this country: Maurição Motta Gomes. He is one of the few people fortunate enough to earn a black belt from Rolls Gracie. Maurição is also a close friend of the Gracie family, having married one of their number, Reyla Gracie, in 1979. Their son, Roger, is known by his mother's surname. While that may appear unusual to non-Brazilian eyes, it is a common enough practice in Brazil: Cesar Gracie is another example. As related in an informative thread on SFUK (my main source for this section: many anecdotes, pictures and further information on there, so well worth checking out), Maurição founded Gracie Barra UK in Birmingham, at the Old Library next to the Custard Factory. According to Barry Foley, Jason Stretton and someone Foley remembers simply as 'Dan' had originally convinced Maurição to come over to teach in the UK, having met him abroad at a seminar. The club would change venues numerous times before settling at Stevie B's Gym, where it remained until late 2010. Several months after arriving at the Custard Factory, Maurição and his son Roger came over for a seminar, bringing another Brazilian with them: Braulio Estima. He would later become the main instructor at Gracie Barra Birmingham, which has developed into a very successful club. In December 2001, Morales announced he was leaving the UK to teach in Barcelona. Shortly after his departure, a new venue appeared on the scene, thanks to Wilson Junior. Wilson was a Brazilian who arrived in London after a stint of travelling. He was looking for a place to continue his BJJ training, something Luca Menagacci was also considering. The two would meet on the mats of the Budokwai, where Wilson was wearing a Carlson Gracie gi he had borrowed from his cousin. As it turned out, that cousin had been good friends with Menagacci when they both trained under Carlson Gracie in Rio. The two of them hit it off and founded the Carlson Gracie London Team in January 2002, at the Albany Hotel in Earls Court. Nelson Solari was brought over from Brazil to instruct alongside Wilson, in the hotel's disused basement nightclub. 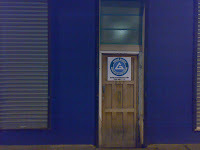 Carlson Gracie London would later emerge from the depths at another location in Torquay Street, then finally to its most famous venue, The Boiler Room, 56 Glentham Road in Hammersmith. Six years later, Simon Hayes became the first English black belt to graduate from that club, joined not long afterwards by his close friend, Dickie Martin (see the Carlson Gracie Team website for the full history). Meanwhile, a forward thinking instructor at the Budokwai, Olympic judo silver medallist Ray Stevens, together with the help of Guy Ritchie, had managed to convince Ritchie's teacher Roger Brooking to start a BJJ class at that venerable judo institution. Brooking was a Brazilian with English heritage, which is why his name is so distinctly non-Portuguese. Some time later, after Brooking left, Maurição Gomes was invited to replace him: Mark Law remembers the date being the year 2000. Along with him came his son, Roger, a man who would become a dominant competitor on the international scene, winning a slew of gold medals at the Mundials and the Abu Dhabi Combat Club (better known as ADCC) nogi championships. Two years later, Maurição brought in black belt Felipe Souza to help with teaching at Gracie Barra London. 2004 featured a massive event for UK BJJ: the opening of the Roger Gracie Academy. Felipe Souza joined Maurição and Roger on the teaching staff, after two years instructing BJJ at the Budokwai. He would be an important part of RGA's growth. The following year, the United Kingdom would at last gain its first home-grown British black belt, Jude Samuel. He was joined by Rick Young and Marc Walder, all three given their rank by Maurição. In 2007, Helen Currie became the first female black belt in the UK: she teaches at Combat Base. Jude has since gone on to open his own school, while Felipe left a year or two earlier in 2008 for the same reason, establishing a club in Battersea. Even in the short time since I started at the Roger Gracie Academy in November 2006, there have been some significant changes. The most obvious is that the academy itself has physically doubled in size, with a huge mat space. Membership continues to increase, with new people arriving all the time: affiliates have also grown quickly. Andy Roberts opened a full-time academy in Farnborough, which was in addition to Nick Brooks in Mill Hill, the Roger Gracie Vie Academy in Farringdon, and Kev Capel and Yas Wilson in Aylesbury. Other large UK academies, like Carlson Gracie London, have also been expanding, with affiliates in Luton and Tonbridge. The future for UK BJJ, at least in terms of ever more people practicing Brazilian jiu jitsu, looks to be good. In the US, it is fast becoming an established sport, with plenty of home-grown black belts. Since 1993, BJJ has spread across the world, so I look forward to seeing it consolidate its position throughout Europe, emulating American success. Kronos, and see also this site, which has a picture. First off, thanks for this great article. I too take great interest in studying the history of BJJ/grappling as a practitioner and have done my fair share of amateur researching as well. I have a couple comments based on conclusions I've drawn from my readings. -In "the toughest man who ever lived" (a biography of maeda linked here: http://www.budovideos.com/shop/customer/product.php?productid=26072&cat=&page=1 ) which, to be honest, i have less than 100% confidence in the accuracy of, it discusses maeda's childhood and such. His father was the village sumo champion, and maeda was an eager learner becoming the child and youth's sumo champion in the village as well. however he was not going to be large enough to be a sumo wrestler, so his father sent him to live with a friend in tokyo so he may train jiujitsu. it claims the style he trained was "tenshin shinyo-ryu", after kano had separated, and upon hearing kano was the best student of this style he pursued training with him instead. It claims he went to the Kodokan requesting to be a student "one year later", as in, one year after arriving in Tokyo. I have seen reference to Maeda's childhood training in sumo in other contexts, and thus I trust that to be true. I also don't doubt that experience with sumo, a very versatile grappling art in it's own right, was quite helpful to maeda in his learnings of judo as well as his ease of adaptation to fights with more westernized styles. I have heard it said on judo forums that despite it's [bjj] immense popularity Judo is still more popular than BJJ in Brazil. I have zero way to verify this, but as I'm sure you found researching this judo forums can present themselves as vehemotly anti-bjj as bjj forums can be anti-judo. Nonetheless, many top students were documented to have practiced Judo both seriously and properly in addition to BJJ (not the least of which is Rolls, Rickson, Carlson Jr, Mario Sperry). It is my estimation that the general ideas and philosophies the gracies had towards martial arts -- fighting by grappling, grappling with a significant emphasis on groundfighting, groundfighting with ultimate emphasis being submission, and important vale tudo applications, were extremely important, but were in fact mostly just a looking glass through which they viewed, absorbed, and interpreted the evolution of judo and preserved these techniques after judo deteriorated into focusing only on winning olympic style contests. It is only until VERY recently (like, the 80s) that serious technical divergences occurred between typical judo ne-waza and BJJ groundfighting. The triangle, for example, started with Rolls and is a HUGE part of the game today. Anyway don't take my comments as criticisms, I just wanted to add some of the things I've thought about and read about in my own quest to understand the somewhat muddled history of BJJ. Your article is awesome and I'll definitely be linking it to friends for quite some time. Nice work Slideyfoot! You must have put alot of time and hard work into writing that and it shows! asfoetida: From what I've read, I'd agree that judo has been de-emphasised in BJJ history: also a complaint I've seen very often on judo forums, though as you mention, unfortunately threads which mention BJJ tend to devolve into unproductive BJJ vs Judo rants. Hence why I've tried to be more objective in my summary, and make it clear that judo was the root, via Maeda (not jujitsu, as many BJJ histories seem to claim, circumventing judo). Its also why I wanted to present Kimura's perspective on the famous Helio fight from My Judo, to try and be more objective than just regurgitating the usual account in BJJ history books. I haven't read much about judo's later influence, but that probably because I haven't spoken too much about BJJ competition, where the judo stand-up comes into it more. E.g., judo was arguably the deciding factor in various Xande Ribeiro vs Roger Gracie matches (both of whom have plenty of judo in their background), like the most recent clash at the Mundials. I think you're right that the general ideas and philosophies of BJJ are very much based in judo: that's something I think Danaher brings out well in Mastering Jujitsu, when he talks about the importance of randori and the success through competition that brought judo to the fore originally. Still, the great thing about writing something on a blog is that, unlike a book, its very easy to make additions and changes. I've read the Mehdi piece before, but hadn't thought of checking it out to include here: good suggestion, so will have another look through now. BJJ deserves its status as one of the premier groundfighting arts. However, a lot of misinformation and propaganda has been passed around, especially towards judo. For instance, Osvaldo Alves trained under Isao Okano while in Japan. Okano was the 1964 Olympic gold medalist and was especially noted for his strong newaza. It's not far-fetched for Alves to have picked up a good amount of judo matwork from Okano and transmitted this back to Brazil, thus adding into BJJ's repertoire. Oswaldo Fadda even stated in an interview that the only difference he saw between judo and BJJ was the rule set. And Fadda was no slouch himself and brought new dimensions into Jiu-jitsu Brasileiro with foot-locks, which surprised Gracie students when facing Fadda's disciples. I like BJJ a lot, and it has a lot of great approaches and application to groundwork. But it's kinda insulting when there's concerted bias towards BJJ's roots to judo. With all due respect to Mr. Kid Peligro, but his book The Gracie Way is one of the most blatant pieces of spin on BJJ and judo. Like how he simply uses the phrase "book on positions" instead of saying it was from a judo book on the origin of the triangle choke. "As a matter of fact, the "Triangle" was invented by one of his students, Sergio Dorileo, Sergio had been studying a Japanese book of positions and invented the Triangle." "There were many who said that Kato was far better judoka technically than Kimura, although 30 kg less heavy and strong." Accounts from renowned and respected martial arts historians and practitioners like Donn Draeger, Isao Inokuma, etc. have all stated that Kimura was one of the most technically proficient judoka pre-Olympics. The Japanese Olympic team were even worried about a rumor that Kimura would compete in the 1964 Tokyo Olympic games as a testament to Kimura's skill (he would have been 46 if he had actually participated in the Olympics). They also mention things like "Kato was Japan's #2 judoka" when mentioning his loss to Helio Gracie. #2?! What proof do they have of this? Can they back up that statement with some credible evidence? There were great judoka in the 1950's like Kenshiro Abe, Kyuzo Mifune (even as an old man he was a beast), Tokio Hirano, Yoshihiko Yoshimatsu (who beat Anton Geesink) etc. I've never read of Kato as a noteworthy judoka during the post-WWII period. that non-Gracie practitioners and pioneers of Brazilian Jiu-jitsu (whether direct or indirect) aren't getting as much exposure outside of Brazil as the Gracie's are. Even the Machados aren't getting their fair share. Men like Geraldo Flores, Monir Salomo, Yasuichi and Naoichi Ono (judo pioneers in Brazil and Yasuichi even choked Helio's brother Jorge and tied twice with Helio), Katsutoshi Naito, Sobei Tani, Ryuzo Ogawa (the founder of Kodokan judo in Brazil and was sent there as an official instructor) Takagi Saigo, and so many others aren't even mentioned much less even known to the greater Judo and BJJ community. I would also like to add to my previous comment that judo newaza does indeed have an methodical approach to groundfighting. If you look at these videos of Tsunetare Oda (a strong proponent of newaza and now-banned joint locks), you can see that judo does indeed have groundwork. Or even in these tapes of Kosen judo that were released in the 1980's. I'm not saying that judo newaza is the same as BJJ. BJJ is heavily focused on the ground as a competitive and combative art. Judo, unfortunately, has focused too much into sport competition as dictated by the International Judo Federation (Olympic rules) and newaza isn't given as much attention. Though, there have been superb Olympic judoka that used newaza in their matches like Yasuhiro Yamashita, Anton Geesink, and Hitoshi Saito. I'm not sure I'd call it propaganda so much as marketing, particularly on Rorion's part. He has always had an aggressive style of promoting his business, which is why his version of events has become the best known, though it may not be the most accurate (to put it lightly). That's one of the reasons I'm very much looking forward to Reila Gracie's book on her father Carlos getting translated into English: should be fascinating to see what perspective she takes on the early years of BJJ. There's a snippet over on The Fightworks Podcast, in case anyone hasn't seen it yet. One has to note that BJJ owes several of its key techniques from judo even as recently in the 1980's. Ude-garami (Kimura) came in the 1950's while sankaku jime (triangle choke) in the 1970's. The Ezekiel choke (Sode Guruma Jime) was introduced to BJJ after Ezekiel Paraguassu, a Brazilian judoka and Olympic competitor who utilized this choke effectively against several Gracie Barra members in 1989. Ude-garami, sode guruma jime, and sankaku jime have long been in judo randori (sparring) and even in shiai (tournament) before BJJ was conceptualized. I think the spelling of the guy's name is Ezequiel Paraguassu, judging by Google. Now that I've got the right surname, should help if I want to stick anything more about him under 'ezekiel' in the glossary. I've heard that it was Rolls Gracie who brought in the triangle due to his judo training, but would be interested in seeing a source (though it sounds plausible enough). As ever, comments are welcome, but ideally there would be accompanying links to evidence: in writing this summary I'm especially keen to find reputable sources, so any help with that much appreciated. How is it that Rorion's dissemination of information not propaganda? His Gracie in Action videos are full of glaring inaccuracies and even downright lies. For instance, http://www.youtube.com/watch?v=44wd7GXgep4, mentions that Masahiko Kimura is the greatest "jiu-jitsu" fighter of Japan. Kimura was a judoka. The same misinformation regarding Mitsuyo Maeda is common amongst BJJ circles. They claim without any documentation or references that Maeda learned some form of jujutsu when he was a boy. 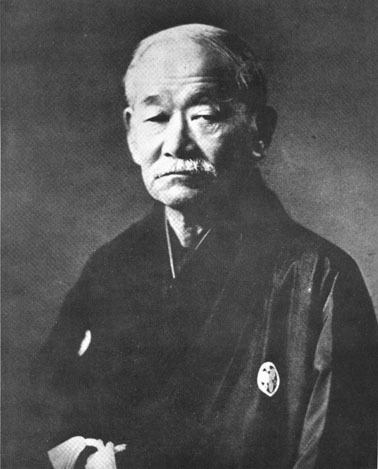 Some sources such as http://www.jiujitsuforums.com/jiujitsuhistory.php claim that Maeda learned Tenshin Shin'yo Ryu jujutsu. It seems that BJJ wants to establish a connection for BJJ from a jujutsu school. Maeda was initially trained in sumo as a boy, and then later trained at the Kodokan. And he also participated in catch-as-catch-can wrestling tournaments so it's not unlikely for him to have picked up some catch wrestling in his repertoire. I see sumo, Kodokan judo, and catch-as-catch-can wrestling, but no direct link to jujutsu. Kodokan judo itself in Jigoro Kano's words, transplanted the archaic koryu (meaning old school in Japanese) of Jujutsu styles. By synthesizing multiple styles and taking the best qualities of each, Kano formed Kodokan Judo, an all-round methodology of physical fitness, self-improvement, throws and takedown, pins, groundwork, submission holds, and even strikes (atemi-waza). And I do find it interesting that BJJ sources on the history of Jujutsu in Japan (especially Gracie jiu-jitsu ones) claim that it's a several thousand year old art originating from India that was transmitted to China and then later Japan. Respected and learned historians (go look at the Cambridge History of Japan and other peer-mediates scholarly works) all agree that there are at least TWO aspects of Japanese culture that were entirely domestic and with little to no foreign influence. The folk religion of Shinto and jujutsu. Jujutsu existed as a Japanese form of combat whether armed or unarmed (something which many non-Japanese mistake jujutsu as simply a form of grappling) combat. Sumai, an ancestor of sumo was some of the premier fighting arts for the Japanese in their origins as a people. Jujutsu as a term was not even prevalent until the 17th century when the Sengoku Jidai period ended and the Tokugawa Shogunate placed a weapons ban on non-samurai. Terms such as yawara, koppo, kumiuchi, etc. were what these fighting arts referred to. Chin Gempin, a Chinese martial artist in the early 17th century is often quoted as a Chinese link to koryu and gendai budo. However, there were already numerous jujutsu schools in practice in Japan at the time of Chin Gempin's arrival and while he may have taught the Japanese a form of Chin Na and Shuai Jiao, the roots of Judo (and BJJ's groundfighting) were already established. I refer to it as marketing (perhaps advertising would be a better term, though as ever that gets into semantics) rather than propaganda because Rorion's version of BJJ history is directly intended to amplify his father's role in developing the sport, generally at the expense of everyone else (judoka especially, which is presumably why there has been the long-standing attempt to claim Maeda came from 'jiu jitsu' rather than judo). Propaganda, on the other hand, maliciously attempts to harm something else, rather than advertising, which is bigging up your own product. Its a fine line in Rorion's case, but I'd still go with advertising rather than propaganda, in the same way that you get advertising along the lines of "Tesco: cheaper than Asda by £#!" Still an unpleasant way to advertise, granted, but seems to be happening more and more (especially as they've relaxed the rules here in the UK, AFAIK). I don't think judo has suffered as a result of Rorion's dubious view of the past: on the contrary, you could argue that judo has considerably benefitted from BJJ's success, as grappling now gets far more recognition than pre-UFC. Yes, the historical inaccuracies are irritating, but I strongly doubt they have had a detrimental effect on judo as a whole. Not to mention that even within BJJ, the Rorion perspective is fairly controversial: e.g., there is plenty of respect for judo at the Roger Gracie Academy, which has long worked closely with Ray Stevens, who won an Olympic silver medal in judo. Gracies in Action is two decades old now, and things have changed in BJJ circles. Dave Camarillo's synthesis of judo and BJJ is another example, or the Ribeiro's obvious respect for judo - 7th dan Jin Iizumi teaches at his school, after all. But yeah, semantics: if people prefer to see Rorion as a propagandist rather than a shrewd businessman, I don't deny there's an argument for that. I'm in the process of making contact to do interviews with some major fighther/teacher from the past and relatives. Names like: Pedro Hemeterio, José Gomes and his brother Ivan Gomes, Jurandir Moura, Euclides Pereira (who defeated Carlson Gracie) Osmar Biuce, Hayashi Kawamura, Raimundo Teixeira and many others. These are all names from my past and I'l try to rescue his memories shadowed by the good work of the Gracies. By the way, answering your concern in a comentary above, yes, judo is much more available and known in Brazil than even BJJ, every school has Judo classes from children to adults. And although BJJ is dominant among jiujitsu practicioners, it is a common knowledge that it's not the only "Jiu Jitsu" existant in Brazil. I agree with joshvogel that this is impressive, and it is obvious that you put a lot of work in it. I don't know much about Brazilian jiu jitsu, but now you have me wanting to watch more matches. I wish I could do something like this. Absolutely fantastic work. One thing that I noticed is that there is no mention of the Humaita academy. Are you still updating the article? If by the 'Humaita academy' you mean the original Academia Gracie, that comes in here. However, if you mean when Helio moved the academy to the Rua Humaita location, which I think was in the '80s, then no, I don't talk about it in this article. I do however mention it in my piece for Jiu Jitsu Style magazine, if you check the first issue (available on iTunes and Budovideos, among other places) Although until recently I didn't realise that in Brazil, people make a distinction between the original Academia Gracie and Gracie Humaita, which is why they're split over on my BJJ teams family tree, here. I read on a couple forums that there is no documentary evidence the Tokyo police tournament took place, that is is a myth in other words. Might be worth looking into. One additional thought: supposing Hélio did in fact learn jiu jitsu (judo) simply by watching, it's conceivable he did not understand the mechanics and thus concluded (wrongly) that traditional jiu jitsu (judo) techniques rely on strength rather than off-balancing. Thoughts? @Michael: Thanks for the comments. Yes, I've read people on forums having doubts about the 1886 tournament too, but then there are several credible sources that discuss that tournament (though that of course does not mean that those forum posts are wrong: I just haven't read similar doubts in a credible publication yet, but then my collection of material on judo history isn't that extensive yet). For example, the academically minded Martial Art of the World: An Encyclopedia mentions the 'great tournament' of 1886 on p212. Mark Law goes into more depth in The Pyjama Game, where on p37 he details the tournament organised by the Tokyo Metropolitan Police Board in 1886. Still, I'm hoping to pick up some other judo history books soon, so will be keeping an eye out for a reference to a more contemporary source. As to the Hélio point, that could be the reason: going off everything I've read, Carlos had not been training judo long. That must have affected the quality of his teaching, meaning there was presumably a trial and error element to the Gracie brothers training as they developed what they knew of judo into BJJ. However, I strongly suspect the main reason for the 'techniques that rely on strength' angle was intentional marketing propaganda rather than any kind of misunderstanding. Particularly as it is quite clear that judo techniques do not rely on strength. The idea of an art where the weak can overcome the strong is very appealing and has been used by plenty of martial arts in order to attract students. Don't know if you're still reading these comments, but something really puzzles me. By all accounts BJJ is a highly respectable martial art closely tied to Judo. And in the BJJ world, the Gracie lineage (especially Carlos and brothers/sons) seems to garner immediate respect for anyone rightly claiming it. But if Carlos Gracie essentially was at best an amateur student of Maeda, how in the world is that possible? How can a man who barely comprehends Judo serve as a prominent founder of a highly technical and effective martial art heavily indebted to it? Something isn't clicking here for me. It also leaves me puzzled as to how I should interpret, for example, my instructor's lineage, which traces back to Carlos via Tavares. Initially I saw this as an assurance that he had quality lineage. Now, I don't know what it means, or how it proves anything. I'm very perplexed. You make a good point and that description - "at best an amateur student of Maeda" - is exactly right, as far as I'm aware. The thing to keep in mind is that Carlos was not the founder of BJJ, he was one of numerous people who helped to popularise and define BJJ in its early stages. As I mention in the history above, alongside (and before, in some cases) Carlos there were people like Geo Omori, Takeo Yano and the Ono brothers, who all had an impact. Then there are other Brazilians, like Luiz Franca, Jacyntho Ferro and Donato Pires dos Reis. Not to mention Carlos' own brothers, who all had a major impact too: George Gracie in particular was a highly respected competitor and very capable fighter, in contrast to Carlos and to an extent Helio (who was capable, but known for dull, defensive jiu jitsu, judging by Choque).